Think it's difficult to keep your home looking fresh and stylish when you're on a budget? 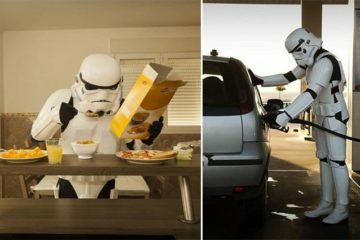 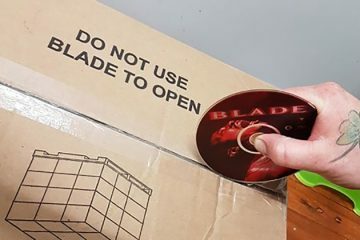 Well think again. 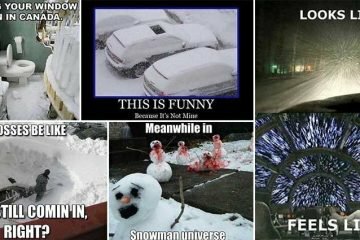 With this collection of 18 awesome home decorating ideas for the budget conscious you can have your home looking great with just the odds and ends you have laying around! 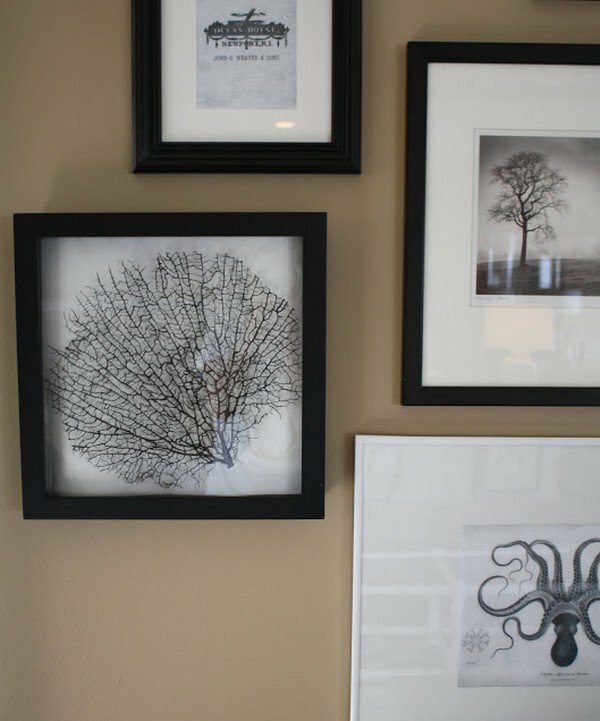 From ingenious uses for old books to DIY wall art, there is sure to be more than a few ideas which will spark your imagination! 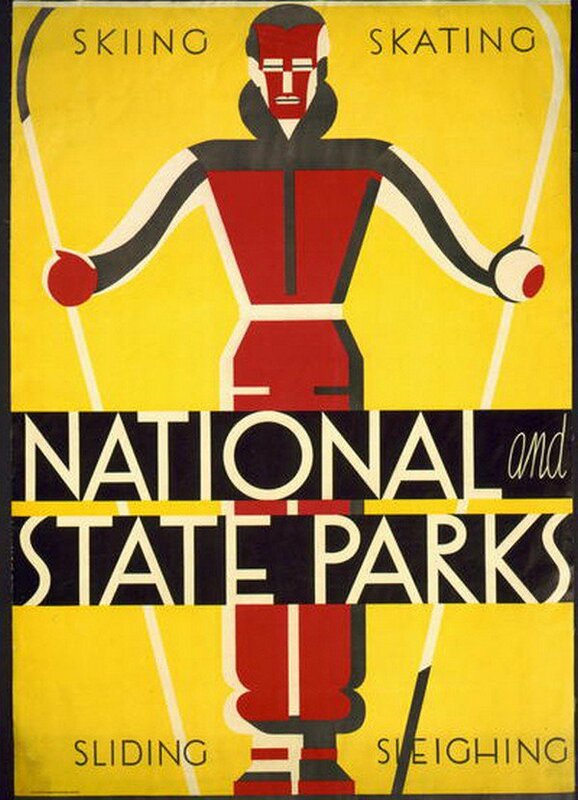 Printing out vintage posters is a free and cool way to add interest to your walls. 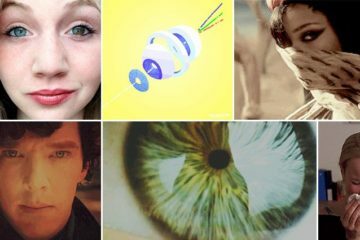 Why not try hanging eye-catching magazines on hangers? 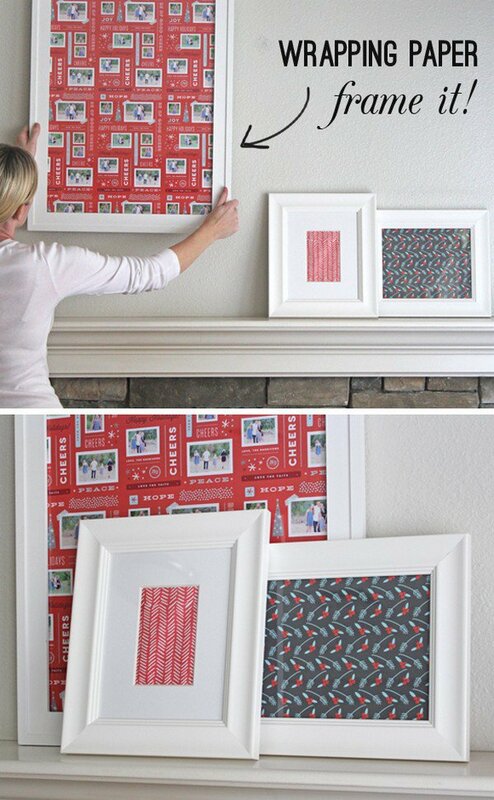 Pretty wrapping paper placed in a simple frame looks amazing! 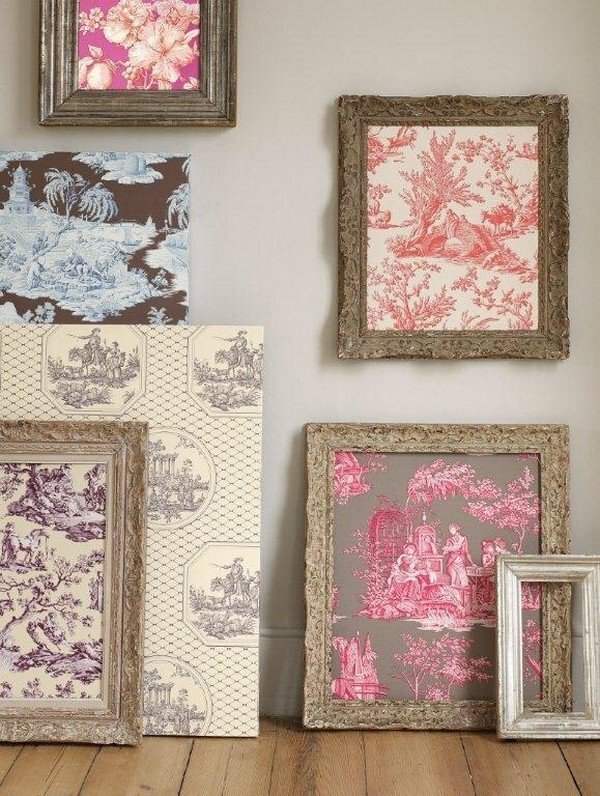 Or how about framing wallpaper samples? 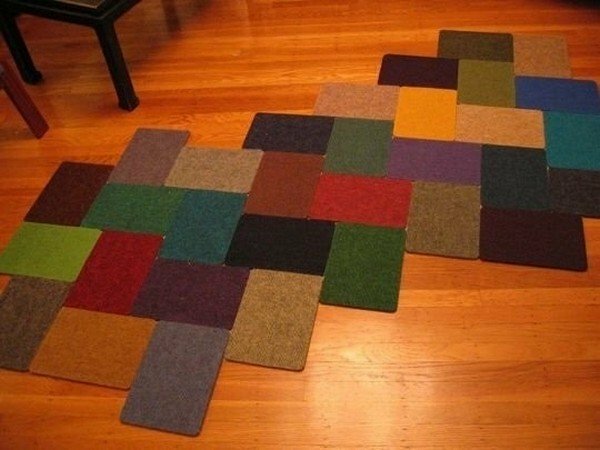 Carpet squares can be made into a colorful rug. 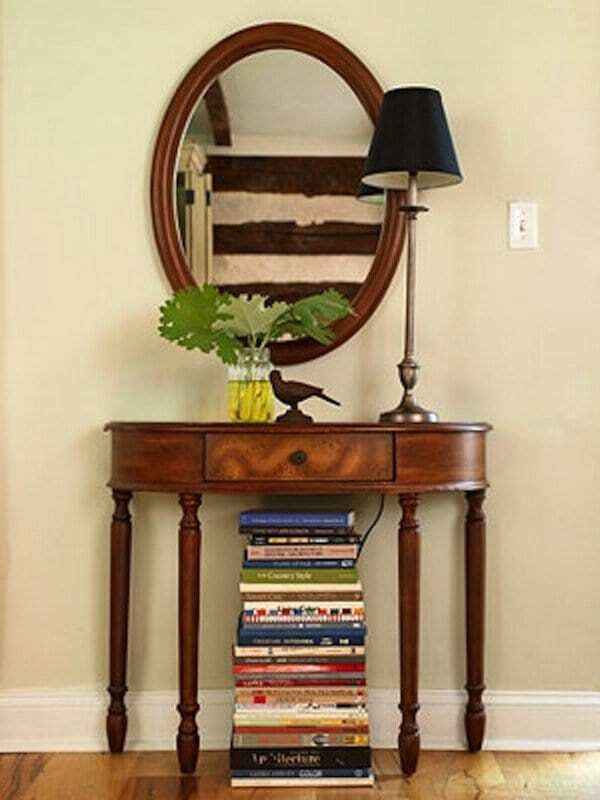 Try stacking old books to hide unsightly things. 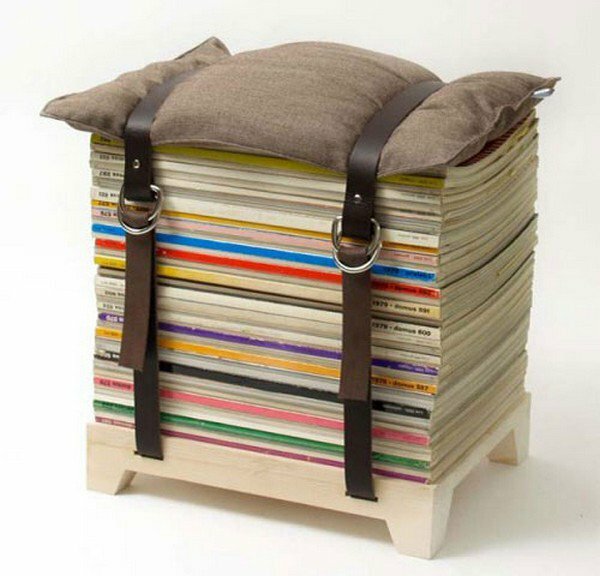 A stacked book pile with a cushion on top makes a cool seat for the kids. 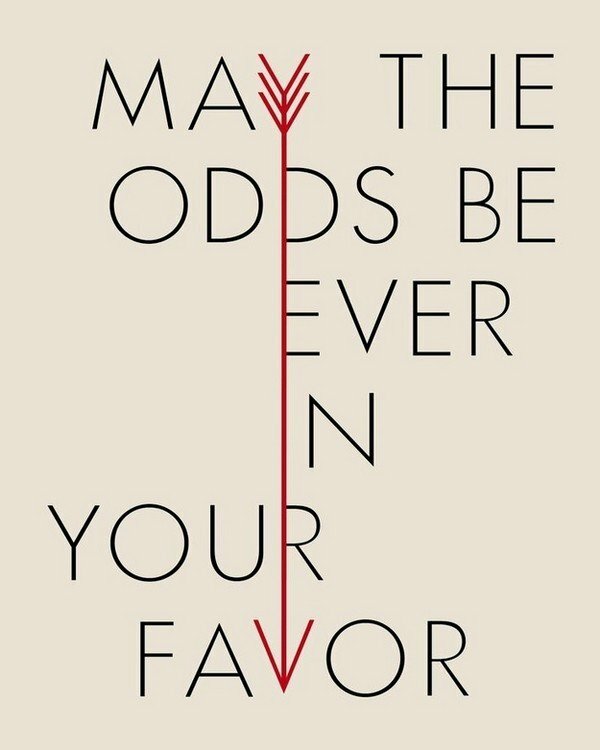 Why not print out a favorite quote and hang it on a wall? 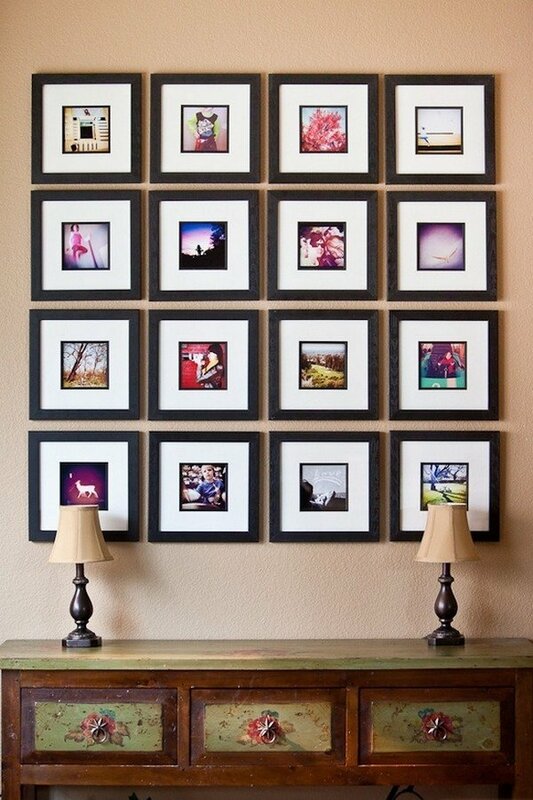 Create a wall of cherished memories by printing and framing Instagram photos! 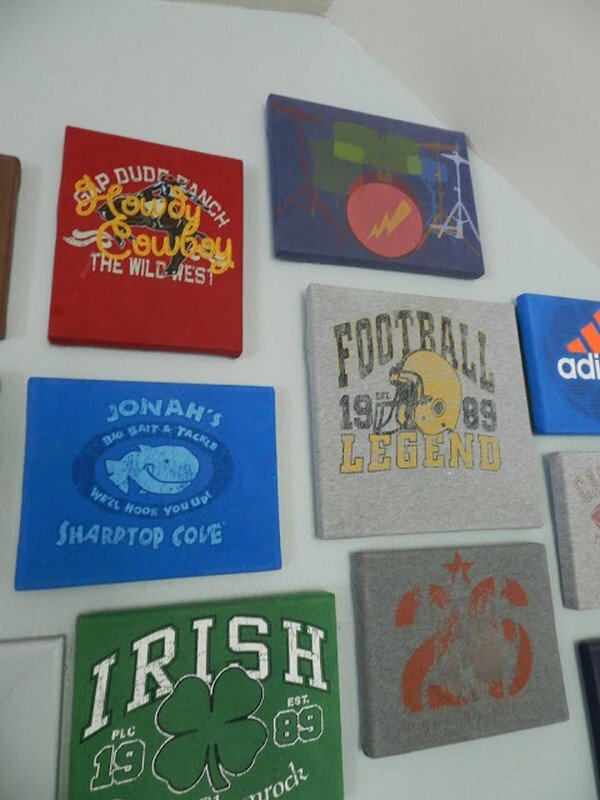 If you have old t-shirts that mean a lot to you and which are just laying around, make a display by mounting them on cardboard or a canvas. 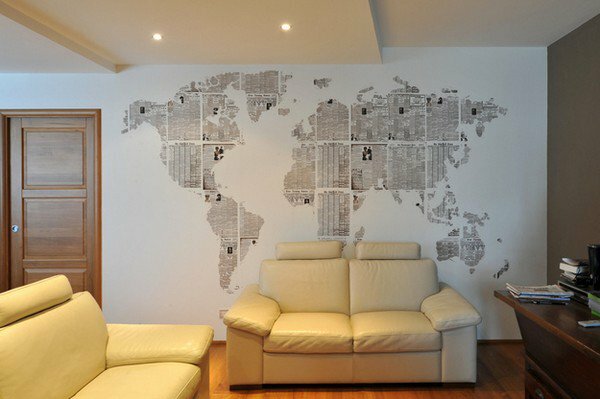 Get creative with old newspapers. 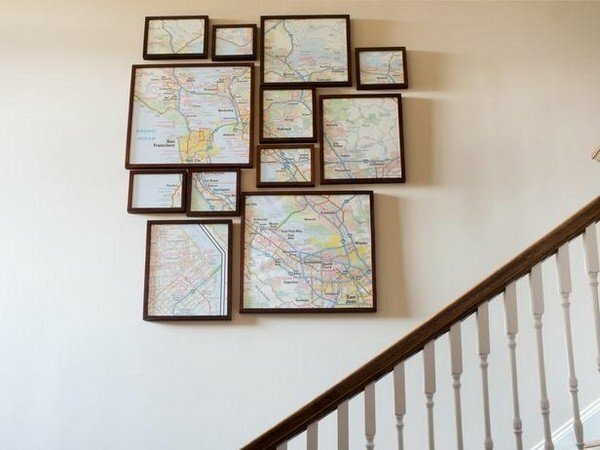 No one really uses maps nowadays so use them as wall art instead! 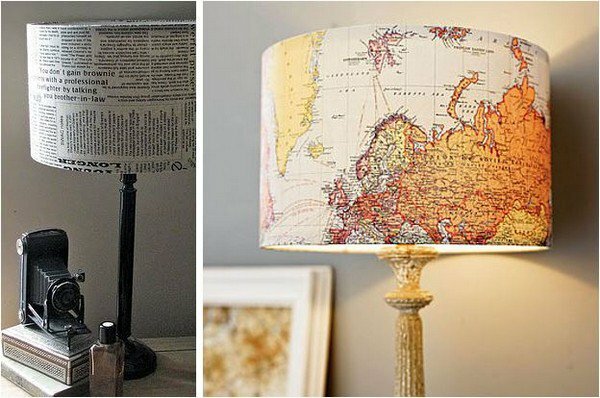 Give lamps a new lease of life by re-covering them. 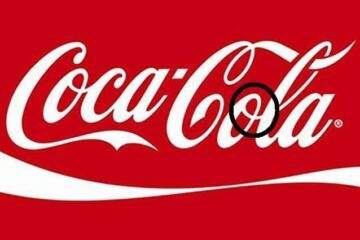 If you have pretty bottles with labels which refuse to come off, use nail polish remover. 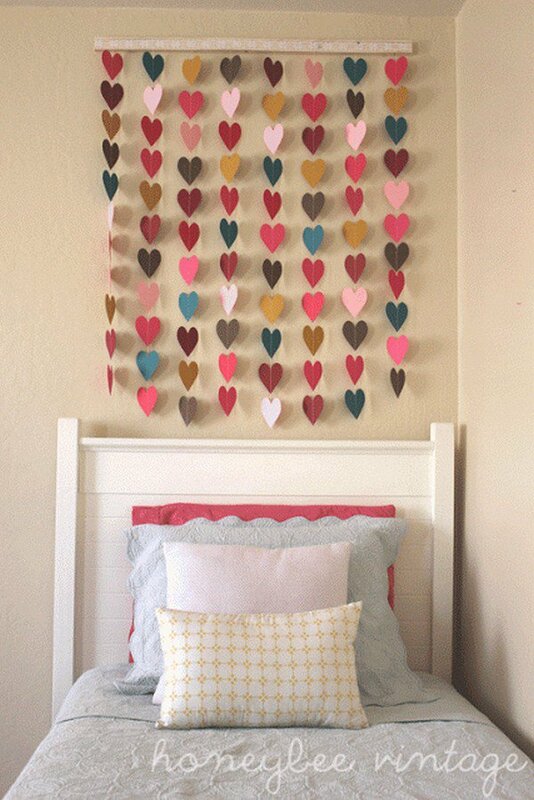 Paper cut-out garlands are so cute! 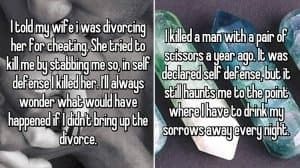 Use old scraps or even paint chips. 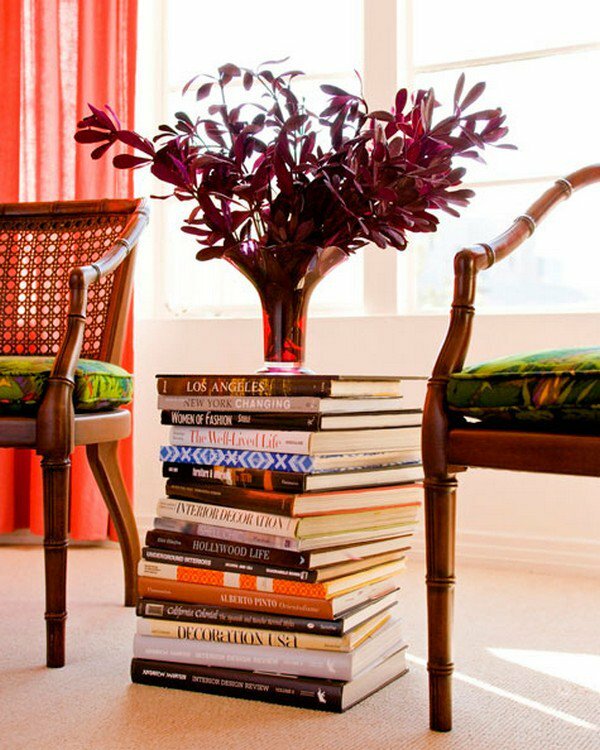 Old books stacked up are great for display purposes. 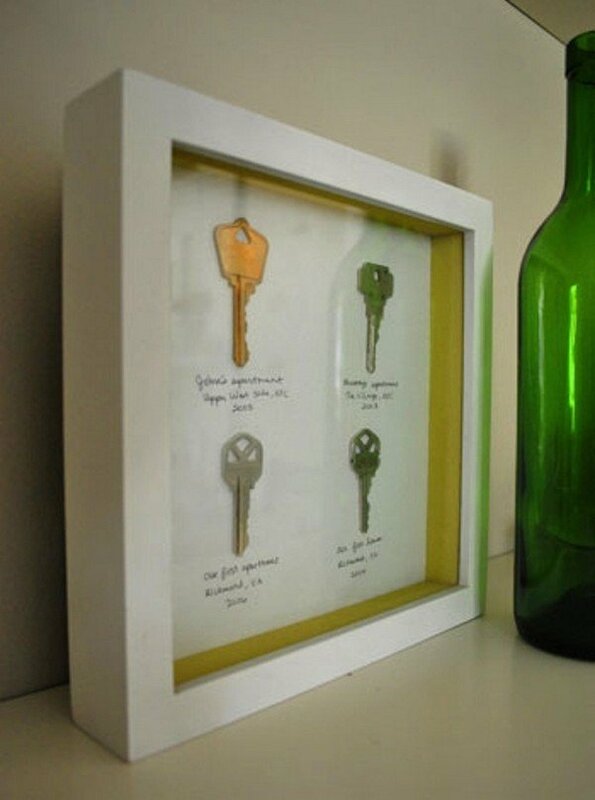 Why not display keys from every home you've lived in? 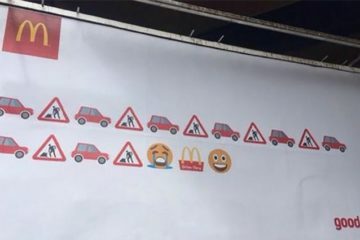 Print out and frame some public domain art.